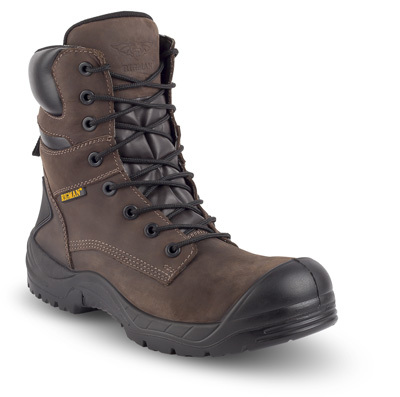 Upper : Oil and Water-repellent waxy full grain leather and anti-abrasion protection. Padded tongue and ergonomic collar. Additional TPU Heel Protection. Lining : Comfort Footwear membrane. Toe Cap : 100% composite toe cap, 200J, Light weight. Midsole : 100% composite (Fiber glass) 1100KN, Anti penetration and light weight. Outsole : Scuff toe cap, PU / PU SRC construction. ***Available with 3M Thinsulate for cold areas also. Tecasafe Plus coveralls offer a perfect combination of protection and Outstanding comfort. The collection offers the ultimate solution. Inherent heat and flame resistant solution with long life.